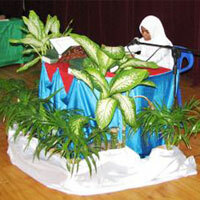 HIYAA is the Dhivehi Literary Association of Ahmadhiyya International School. All the students are members of this association. HIYAA develops and promote skills and competencies required for students to effectively carry out various tasks in their mother tongue with ease. The Business Club is set to provide a vibrant and diverse environment for students who enjoy finance or finance-related careers. It is open for all students in which we focus on education, practical application, and career development. Our goal is to provide educational workshops, events, career-development support within our school context. 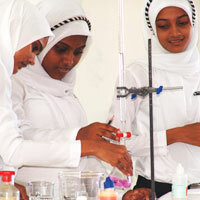 Science Club offer students a fun and enriching science experience. Club activities are designed to enhance topics or skills that students are learning in school. Each session includes exhibit exploration and theme-related science experiments. This club is open for all students, which is designed with age-appropriate curriculum and investigations. Environmental Club is a student-centred organization whose mission is to protect, conserve, and improve the environment by taking action on local environmental issues. The Club will also raise awareness about local, regional, and global environmental issues through publication, presentation, and public interaction. The Quran club is conducted throughout the year in ways that it differentiates itself compared to other clubs in the School. 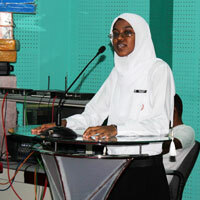 The main purpose of the Quran Club is to conduct the Quran classes and preparing students for various competitions. This club makes students more devoted to Quran and makes them love the recitation and encourages to memorization. In addition, it also helps students to love, care, preserve and follow Quran accordingly. 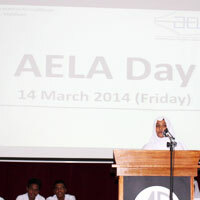 Another aim is to prepare students for various levels of competitions and to recite in assemblies. Art Club is an extracurricular club at Ahmadhiyya International School that has everything to do with the visual arts. Enrollment is open to any student that has an interest in art. Our club provides a supportive, fun environment for children to develop creativity, stretch their imagination, and learn art concepts and techniques.Our mission is to learn about art, create art, and enrich the school environment and community through art.